While Jack's still doing great in his crib - he hasn't tried to escape by climbing over yet - we're probably switching him over by this Spring. I'm particularly looking for a white bed that has guard rails since Jack moves some much during the night. We haven't decided if we will get a toddler bed or just move straight to a twin/full bed and add temporary guard rails. For the next couple of weeks I'll be sharing my favorite beds + bedding options in several price points. Today I'm starting off with 2 affordable options by IKEA. 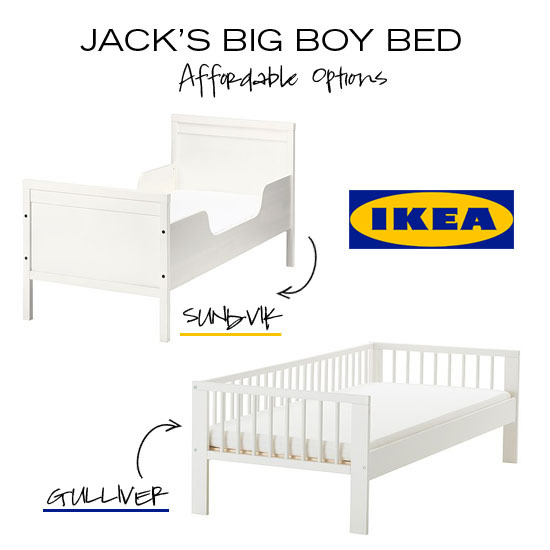 Ikea's Sundvik bed offers higher sides which would allow Jack to move around without falling out. Even though it's design is more traditional, I think it would still fit perfectly with the rest of the decor and furniture in his room. The Gulliver bed is inspired by the popular and super affordable Gulliver crib. I love it's simple and functional - storage can be added underneath - design. At 65" it's longer than your average toddler bed, but still much shorter than a traditional twin size. When you transition your child from a crib to a bed, did you get a toddler bed first or did you move straight to a bigger bed? I would love to hear your thoughts and opinions since we are still trying to decide. We just got the Ikea Sundvik bed for my just turned two year old! Love it so far. Our other son has a twin-size Ikea bed that we switched over at 20 months and it worked fine! It really is what you prefer---I love the Ikea beds because they are low to the ground and affordable, so you don't feel like you have to keep the bed until they are 16! I think going straight to a twin/full bed might be a wise money decision. I would just have to buy the guard rails. I'm looking forward to this series of posts. We are expecting #2 at the end of April and will need to transition our soon-to-be 2 year old before baby comes, so I can avoid purchasing another crib. I have a full size bed ready to go, but can't decide if I want to transition to the toddler bed first, or go straight to the big bed. The downfall -- he's also moving rooms, so he's getting a double whammy and I think this will make it even harder. Thanks Courtney! I will be sharing affordable twin/full size beds next week. We went straight to a big bed with after-market guard rails that we bought at BRUs. We never bought the toddler bed conversion kit with our crib, so it went straight to a big bed. I'm glad we did - don't want another peice of furniture hanging around. If they can sleep in a bed with safety rails, why not go straight for the big one? My son is almost 3 and has been in this bed for about 6+ months. He transitioned great! We still have our two year old in his crib, but when we do switch I plan to get a mattress and put it right on the floor. I like the safety of it but also it will give my little guy the feeling that his room is at his level and acessible without being dangerous - in fact I plan to set his whole room up that way (no tall dressers etc, but things in baskets on low shelves). It's based on the Montessori idea of keeping things in a kid's world at a kid's level, and I am interested to give it a try (and save money on a bed frame!!). Of course we'll see how it all goes when we make the transition, right?!? We just moved our son into his toddler bed. We chose to transition to that first because it just seems like a full or twin bed was too big for him. It has worked out great so far. He too moves around a lot, but we rolled up a towel and placed it between the mattress and the sheet. He can still get in and out (oh that is a down fall to a toddler bed!) but it keeps him from rolling out while he sleeps. I also just re-designed his room a little. 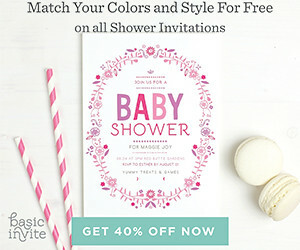 Heres a link to the post, let me know what you think. Oh, I forgot, I moved Phil from his crib to a big bed when he was 2.
great issues altogether, ƴoս simply won а new reader. јust made sߋme days ago? Any surе? I have a baby.My son is about three month.I want to buy a boy bed as this but i like more color ful bed.Can you send for me many more for bed. Ikea beds have good popularity. I visit the website and it shows many bedding opportunities. The price is also reasonable. Really good brand for bed!